The Bishop’s Partnership Appeal raises funds through year-end giving to help congregations, ministries, and institutions of our Diocese to do God’s work more effectively. Be assured that 100% of your gift goes directly to your designated recipients. This year, EFNC is contributing a challenge grant of $2,000 if the annual appeal reaches $30,000 in donations. 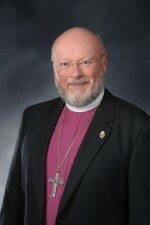 This Partnership is a partnership of people who love The Episcopal Church in Northern California. It is an opportunity for each of us to support the ministries and organizations we believe in, and to equip them for the future. When we give in this way, our Church becomes stronger and better able to reach out and engage in the work God calls us to do. I deeply hope that we will be partners in supporting that work again this year. To see a list of ministries that you can contribute, please click here.